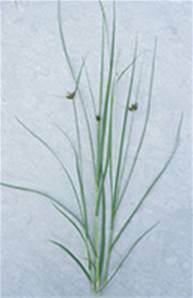 A robust perennial for saline habitats. Height 30-100cm.Dark chocolate brown flowers June-July. Native in shallow water at the muddy margins of tidal rivers and in ditches and ponds near the sea.